CHESTERTOWN, MD—In the cover image of professor Jehanne Dubrow’s latest volume of poetry, tight rows of bullets stand on end like soldiers at attention, their lockstep rigidity broken front and center by an open tube of lipstick. That red-tipped symbol of female sexuality and heat disturbing the relentless monotony of cold, hard metal is a perfect introduction to the storylines Dubrow’s poems trace on the pages inside. 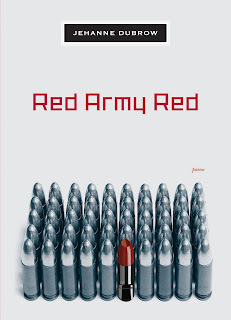 Red Army Red (TriQuarterly Books, October 31, 2012) paints scenes from Cold War Poland and the lifting of the Iron Curtain while it also shares a young girl’s journey through the bewildering geography of puberty and into sexual awakening. Dubrow uses the oppressive language of the Cold War to speak about the oppressive nature of adolescence, and she employs the vocabulary of economic systems—Communism and capitalism—as metaphors for the excesses and deprivations of puberty. 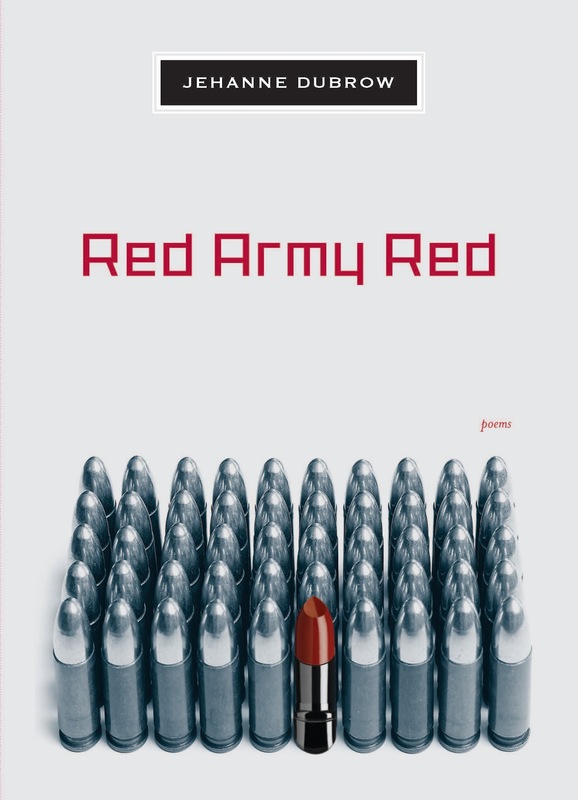 “That we experience large-scale, structural traumas as small-scale, personal ones is among the profundities on which Jehanne Dubrow’s Red Army Red is built,” poet H.L. Hix writes on the book jacket. In many of its details, the book chronicles Dubrow’s own coming of age as the daughter of American diplomats stationed in Poland in the 1980s. Born in Italy, she also spent time with her family in Yugoslavia, Zaire, Belgium and Austria. But for seven of her pre-teen and teenage years, the family lived in Communist-era Warsaw. Dubrow teaches creative writing and literature and is Director of the Rose O’Neill Literary House at Washington College. Red Army Red is her fourth book. Her first, The Hardship Post, won the Three Candles Press Open Book Award in 2009, and her second, From the Fever-World, won the Washington Writers’ Publishing House Poetry Competition, also in 2009. Stateside was published by Northwestern University Press in 2010. Dubrow’s poetry, creative nonfiction and book reviews have appeared in numerous journals, including Southern Review, The New Republic, Poetry, Ploughshares, The Hudson Review, The New England Review, West Branch, Gulf Coast, Blackbird, Copper Nickel and Prairie Schooner. Her many honors include the Poetry Society of America’s 2012 Alice Fay Di Castagnola Award, an Individual Artist’s Award from the Maryland State Arts Council, and a Walter E. Dakin Fellowship and Howard Nemerov Poetry Scholarship from the Sewanee Writers’ Conference. Georgie and William Butler Yeats in 1923. CHESTERTOWN, MD—Scholar Meg Harper will lecture on the poet W.B. 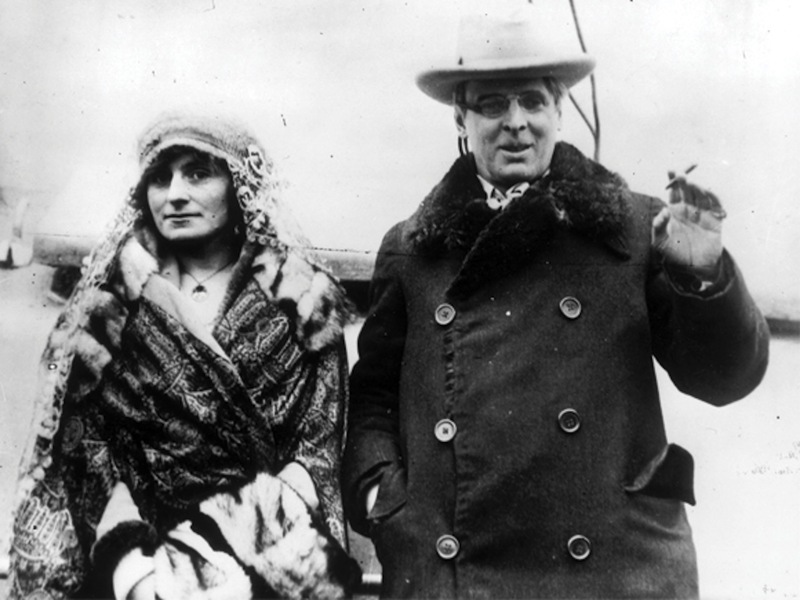 Yeats and his wife, Georgie, when she visits the Rose O’Neill Literary House at Washington College on Monday, November 19. Her talk, “Spiritual Committee Work: The Yeatses and A Vision,” will take place at 4:30 p.m. and is free and open to the public as part of the Sophie Kerr Lecture Series. Dr. Harper is a specialist in Irish literature, literary modernism and twentieth-century poetry who has studied the life and work of W.B. Yeats extensively. Her book Wisdom of Two: The Spiritual Collaboration of George and W.B. Yeats (Oxford 2006) discusses the often marginalized role of Yeats’s wife in his life and the couple’s shared fascination with the occult. 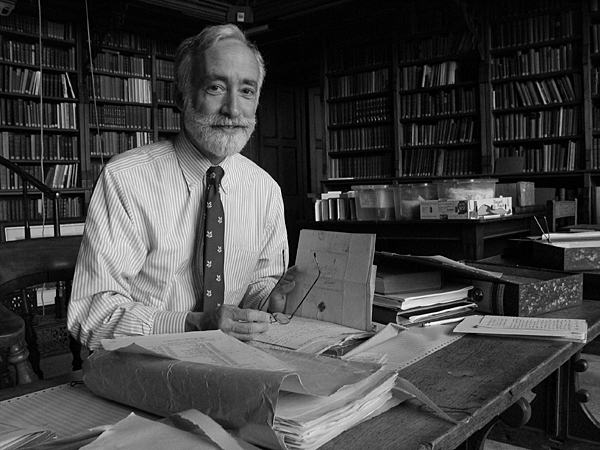 Harper, who co-edited Yeats’ series of “Vision” papers for Macmillan (1992 and 2001), holds a Ph.D. in English from the University of North Carolina at Chapel Hill. She is currently the Glucksman Professor of Contemporary Writing in English at the University of Limerick, in Ireland. The Literary House is located at 407 Washington Avenue. 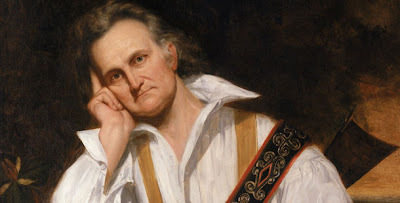 CHESTERTOWN, MD—In the spring of 1843, the well known naturalist and artist John James Audubon set off from New York City on what was to be his longest and last great expedition of discovery. With a small party of friends and associates, the self-proclaimed “American Woodsman,” who had recently completed his landmark work, The Birds of America, traveled by boat from Saint Louis up the Missouri River to the mouth of the Yellowstone. Officially, he was gathering information and specimens for a newly launched book on American mammals, but he was also on the lookout for new birds. In a slide lecture at Washington College on Thursday, Nov. 15, noted historian Robert McCracken Peck will use images of Audubon’s western paintings and the surviving specimens and artifacts gathered during his nine-month expedition to describe this last great adventure and put its accomplishments in context. His talk will take place at 5 p.m. in Decker Theatre, Gibson Center for the Arts, on the main campus, 300 Washington Avenue. The event is free and open to the public. A Fellow of the Academy of Natural Sciences of Drexel University (to which Audubon was elected a corresponding member in 1831), Peck is the author of the B.B.C. book Land of the Eagle: A Natural History of North America and co-author of A Glorious Enterprise: The Academy of Natural Sciences and the Making of American Science. He was a consulting curator for the exhibition “Audubon in the West,” which traveled throughout the United States in 2000 and 2001. A fully illustrated catalog with essays by Mr. Peck and others accompanied the exhibition. In 2010 Peck and a colleague discovered Audubon’s first published illustration of a bird on an Ohio bank note. Peck’s visit to Washington College complements the special exhibition in the College’s Kohl Gallery, “In Pursuit of Beauty: John J. Audubon and the Golden Age of Bird Illustration,” which continues through November 30. Peck consulted with curator Alex Castro for the exhibition. On display are 19 prints and 20 books that showcase works by Audubon (including a rare original watercolor of a pheasant) and other master naturalists of his era. The Gallery is open Wednesday through Sunday, 1 to 6 p.m., and admission is free.